Onsite packaging allows us to package items that are either too big or too delicate to move, and and allows your company to keep control of your product and minimize handling concerns. We can also repair and maintain your crates. Shrink wrapping your product can be a great option for a wide variety items that may need a little bit more protection from the elements whether they are being stored or shipped. It can also be used to package smaller items, keeping them grouped together and reducing the chance of shifting during transit. Because of the simple nature of shrink wrapping it is something that can easily be done onsite, providing you a cost effective way of protecting your product. Similar to heat shrink wrapping, a vacuum pack can provide even more protection from items that will experience extended exposure to moisture. By removing the oxygen around your product, you can prevent oxidization and stop the growth of aerobic bacteria or fungi during shipping or storage. 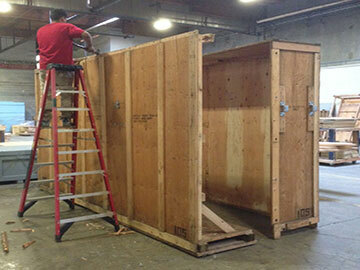 We have teams of onsite specialists that are capable of crating items of all sizes at your facility. This is perfect for customers who are looking to have a product shipped, but may have something that is to large or fragile to ship without proper crating. 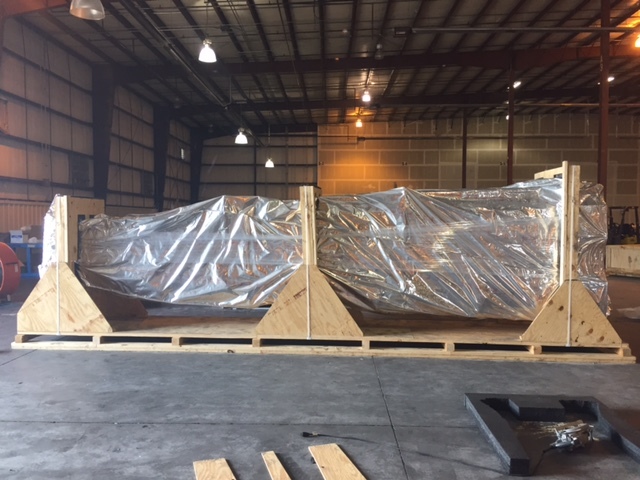 If you have crates that have been damaged during shipping, or just worn down over time, our onsite specialists can also provide a quick and cost effective way of refurbishing your crates, allowing for the continued protection of your product without the potential cost of building a new crate. Military contracts will often require your freight to be packed in an extremely specific manner. The specs they provide can often be hundreds of pages long and can be confusing to say the least. Let us navigate the process for you so you’re free to focus on what you do best.